In episode 6 of ‘The Last Kingdom’ (BBC 2, Nov 26th), a raiding party is led across the Tamar into ‘Cornwalum’. This TV series is based on the first two of Bernard Cornwell’s Last Kingdom books, which relate the life of a dispossessed son of a Northumbrian landlord who becomes a warrior. Uhtred is part Saxon, part Dane. Having spent his childhood in a Danish household among the people who killed his father in battle, Uhtred ends up in Wessex. There he attempts to reconcile his Viking sympathies with a brittle loyalty to an over-religious Alfred, ruler of the ‘last kingdom’ of the English to hold out against the all-conquering Danes. This all makes for intriguing stuff, several gripping books and an entertaining television series. But how much is true? In particular, how far is the picture of ninth century Cornwalum based on fact rather than fiction? In the ninth century, bands of young men may well have periodically crossed into the territory of other kingdoms. Like Uhtred, they could have been searching for plunder, or just seeking excitement by causing mayhem and gaining a place in the stories later told about their deeds. By the time of Alfred however cross-border raids are likely to have subsided. By the 870s, after their defeat at the Battle of Hingston Down 40 years earlier, the Cornish had accepted that the military option was no longer that sensible in the face of a Wessex possessing far superior material resources and manpower. However, before the battle of Hingston Down in 838, such raids by Cornish and English would have been commonplace. There is an ambiguous possibility that the Cornish could raid as far east as Wells in present day Somerset well into the mid-eighth century, for instance. Nonetheless, despite owing Alfred some nominal overlordship, the Cornish retained considerable autonomy. Kings could still be found wandering around the Cornish countryside just a few miles from the border with Wessex, although rather prone to falling into rivers and drowning. Evidence for Cornwall’s autonomy also appears in the shape of the fortified ‘burhs’ that Alfred ordered be constructed to defend against Viking attacks. Scattered across Wessex, none of these were built in Cornwall. Indeed, the most westerly – at Lydford on the western side of Dartmoor – looks more likely to have been located with an eye on the Cornish to the west rather than marauding Vikings on the coasts. In the TV programme the Tamar is seen as the border between English Wessex and British Cornwall and that reflects the state of affairs by the 870s. This situation has remained more or less the case until now. Although next year another cross-border marauder, in the shape of the Tory Government, will impose its cross-border parliamentary constituency on us and go a considerable way towards erasing the territorial integrity of Cornwall. In earlier times, a hundred years before Uhtred’s time, that fuzzy border lay further east. So The Last Kingdom is correct in drawing a picture of a British society largely beyond the direct control of Alfred. Alfred is supposed to have visited St Neot to pay homage to some saint’s relics, but owned little land directly in Cornwall, just a handful of estates in the far north east. Moreover, he made no land grants west of the Tamar. 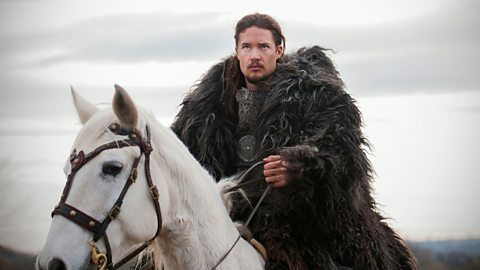 So Uhtred’s unofficial raiding party is a strong possibility, although the aim is more likely to have been to steal a few cattle, the de-facto currency of early medieval Cornwall, rather than the silver of the TV programme. That said, the 114 coins, some silver, and a few silver objects that tin streamers uncovered at Trewhiddle near St Austell in 1774 tells us that English coins (none were minted at this time in Cornwall) circulated in Cornwall. Such hoards would have been buried as people attempted to hide their valuables from rampaging, testosterone fuelled bands of armed thugs. This hoard has been dated to around 870, almost exactly the time of Uhtred’s raiding party. In The Last Kingdom, the people of Cornwall are described as traders and Uhtred finds and steals an Irish cross. Both of these are credible as Cornwall was strategically situated on the maritime highway between the Irish and Welsh to the north and Bretons (rather than the Franks mentioned in the programme) to the south. Indeed, they shared a language with those Bretons and would have made up one cross-Channel culture zone with them. Language in fact provides the most glaring inaccuracy of the programme. Uhtred is able to chat away unproblematically with Britons in English. In ninth century Cornwall, this would have been unlikely, as the Britons spoke an early form of Celtic, which was just beginning to divide into different Welsh and Cornu-Breton versions at this time. Communication would have probably taken place in a third language – Latin. A working knowledge of Latin was most likely to have been found among the priests of the early church. Sure enough, in episode 6 a British priest called Asser pops up working for a Cornish king. There was indeed a priest around in the late ninth century with the name Asser, but he was from Wales not Cornwall and worked for Alfred, not some Cornish king. That much higher status real Asser wrote a dubiously accurate Life of Alfred and in return was given control of the church in Devon and Cornwall by his grateful patron. On TV Asser appears as an unlikely and urbane advisor to Peredur, a Cornish king. Earlier in the episode Uhtred is informed that the Cornish have ‘many’ kings. Peredur is one of them. The Cornish, like their Welsh cousins, Breton siblings and Irish relatives, had no single king but a set of quarrelsome and squabbling aspirants. Occasionally, perhaps at times of greater danger or need, an over-king might arise, such as Gerent around 700 who kicked off the 100 years war with the English. More usually, there was no king and little royalty. People got on with their lives of daily drudgery and ignored those who claimed to rule over them, much like attitudes to Cornwall Council these days in fact. When intending to retake a fortress commandeered by another Cornish king, Uhtred discovers that it’s occupied by Danes, like him looking for loot, and promptly double-crosses his new Cornish allies. Nothing new there then. The Danish presence at this time is possible, but actually relatively unlikely. Interestingly, accounts of Danish raids on Cornwall are rare before the sacking of St Petrock’s monastery at Padstow in 981. The Cornish alliance with the Danes at the battle of Hingston Down in 838 may be just the tip of more permanently friendly relations between Cornish and Danes. After all, the two had a common enemy in Wessex. 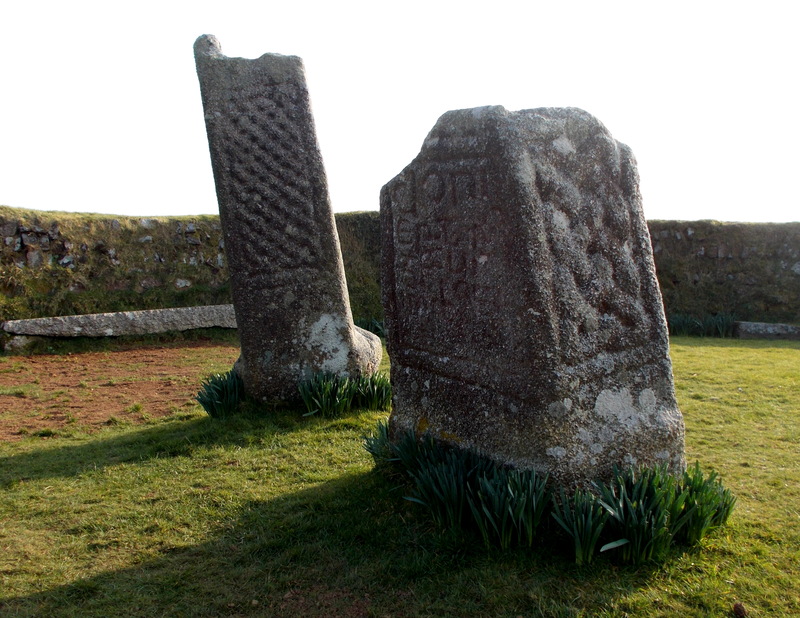 Furthermore, Cornwall lacked the wealthy monasteries that provided rich pickings for the Danes elsewhere. But it did possess one thing that both Danes and English wanted – tin. It’s possible that the Cornish, even after recognising some vague overlordship of Alfred, could bargain their tin for immunity from attack by Danes or raids and settlement by the English in the ninth century. Not that we’d know that from the TV. The televisual perspective prefers to view the Cornish as a rather useless bunch of smalltime kings with followers who have a predilection for painting themselves in bright colours. In contrast the dynamic characters are the incomers from the east who arrive in Cornwall and impose themselves on the landscape, running roughshod over the native inhabitants who get in their way. Thank God it’s not like that any more.